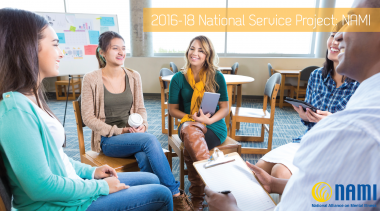 HOSA-Future Health Professionals and the National Alliance on Mental Illness are pleased to announce a partnership which will focus on engaging youth around mental illness. The partnership was selected by delegates, representing more than 9,300 members, who voted at the 2016 International Leadership Conference in Nashville, TN, in June 2016 and selected NAMI as their newest service project for 2016 – 2018. Shawnee Chaudhury, HOSA Student Outreach Chair, at shawnee@hosa.org. 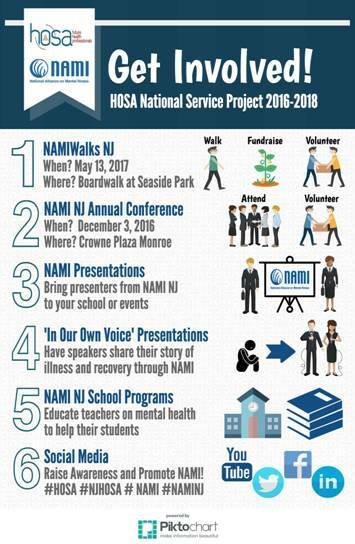 Aruna Rao, NAMI NJ’s Associate Director, at info@naminj.org or call 732-940-0991.